EpicDuel - Game Design Notes: Celtic Celebration! 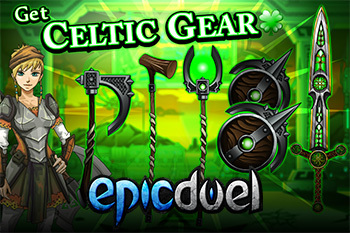 Enjoy the luckiest Friday the 13th in ages by picking up St. Patrick's and Celtic-themed gear available from Naomi! These beauties were crafted with care by SlayertheKraken, Theon, and Bidoof! 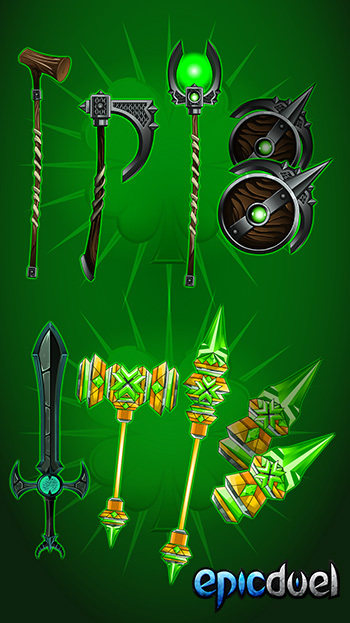 Decorate your walls and floors with a fine selection of new items including Dage-themed decorations and new banks! Be sure to check for new Daily Missions created by Ranloth for fantastic rewards! For those who don't know or occasionally forget, Daily Missions are a great way to earn Credits and Arcade Tokens without grinding out dozens of PvP or NPC battles. We would like to extend a hearty Delta V welcome to new Guest Artist Theon and Guest Writer Silver Sky Magician who formally joined the team and are hard at work to produce new content for all to enjoy (Theon created weapons for this release)! Say "hello" to them in game if you bump into them. 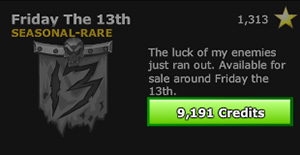 The Friday the 13th achievement now available! Grab it before it vanishes! 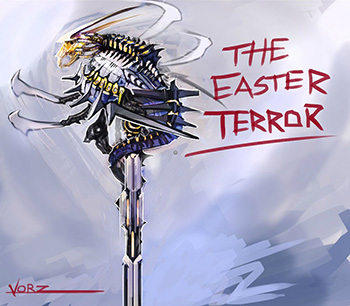 Easter is just around the corner so you know what that means -- deadly bunnies of DOOM! This is just a small preview of what awaits in the epic new event coming to a Biodome near you!